You never know what might happen if you just look around a bit during your commute. Courtney Servaes moved to Shawnee with her family three years ago. She’d regularly drive through downtown on her way to prenatal appointments. And it was on those drives that she discovered a place that felt primed for a neighborhood brewery. 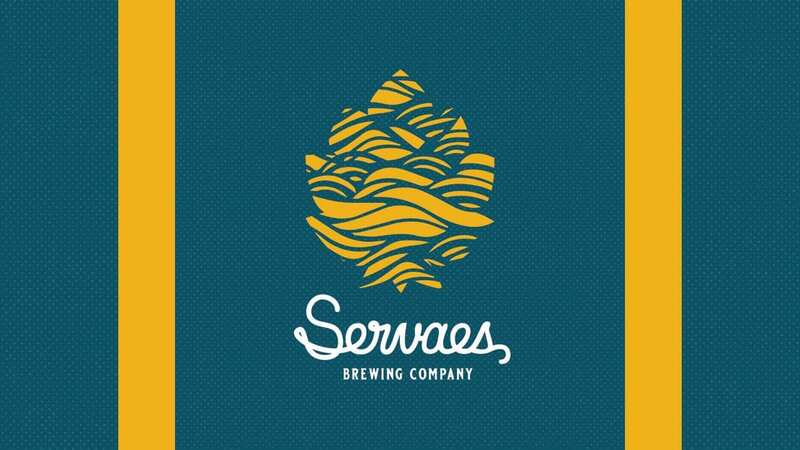 Servaes Brewing Co. just signed a lease at 10921 Johnson Drive in Shawnee, Kansas. Servaes’ instinct about Shawnee was right. Transport Brewing Co., a brewery looking to open later this fall, is currently building out the space at 11113 Johnson Drive, a block from Servaes Brewing Co.’s future location. “I’m hoping to appeal to those beer lovers who want to have a different experience every time they visit our brewery. Instead of offering classic styles, we will heavily focus on novelty beers,” Servaes said. Servaes is looking to open in 2019 with a taproom that has taps rotating on a weekly basis. She also has plans for special release barrel-aged brews. Local drinkers who have tried Servaes’ beers over the past several years at festivals and area breweries are used to seeing her brews in cans. The brewery will continue on with cans as weekly releases alongside special releases in bottles. And what can drinkers expect from Servaes Brewing Co. in the future? Novel (1927 McGee St.) is hosting a Boulevard Sour Beer Dinner ($55) on Tuesday, Aug. 28, with seatings between 5 and 9:15 p.m. The five-course dinner highlights five sour beers (along with a welcome cocktail) with pairings like coconut lemongrass curry with Tequila Barrel Lime Gose and Sweet Cherry Pie with a rare barrel-aged sour ale. HopCat (401 Westport Road) is featuring Crane Brewing Co. from 6:30 to 9:30 p.m. on Tuesday, Aug. 28. The four-course dinner ($30) comes with a welcome beer (Raytown Common). The pairings feature tomatillo pork chili with Guava Weiss and a pineapple upside cake with Omar Porter. Update: This event has been cancelled and will be rescheduled to a later date. KC Bier Co.’s Festbier (5.5% ABV, 25 IBUs), the brewery’s fall seasonal, was released in six-packs and on draft yesterday. Cinder Block Brewery’s Yuzu Biur (4.5% ABV, 15 IBUs), a Japanese-style lager, should be out in Missouri this week. The brewery’s tasting notes suggest it is “clean and crisp with a hint of tangerine and lemon coming from the unique yuzu citrus fruit.” It’s brewed with German lager yeast. The Boulevard Tours & Rec Center (2534 Madison Ave.) has a Test Blueberry Berliner Weiss on tap, as well as the Boulevardia Sour Grisette (a heads up just in case you missed it at this summer’s festival). 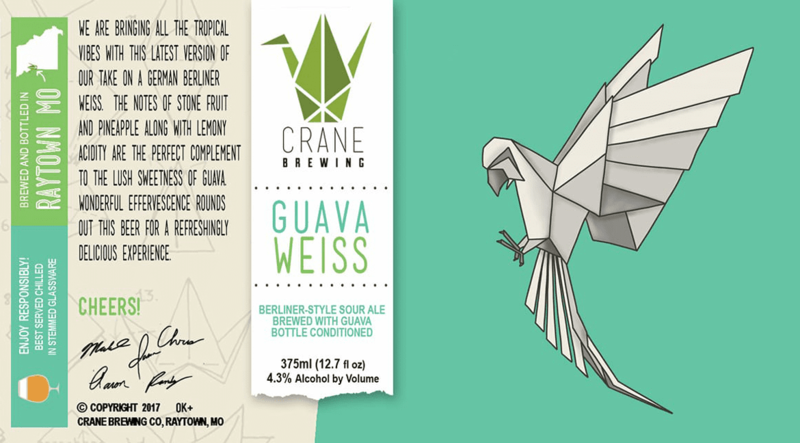 Crane Brewing Co. (6515 Railroad St., Raytown, Missouri) collaborated with Mike’s Wine & Spirits on Mango Lassi, a new sour beer. The limited-release brew drops today at both Crane and Mike’s locations. KC Bier Co. (310 W. 79th St.) will have a release party for its Festbier from 5 to 10 p.m. You can get a beer and brat or beer and pretzel combo and be entered into a raffle to win a pair of tickets to the brewery’s Oktoberfest at Crown Center. Charlie Park Celebration events are happening around the city this week. And today, KC Bier Co. (310 W. 79th St.) is hosting a Charlie Parker Celebration Meet & Greet at 5:30 p.m. There will be live jazz performances and you can meet jazz musicians Tivon Pennicott and Lonnie McFadden. Double Shift Brewing Co. (412 E. 18th St.) releases Beach Shredder (4.1% ABV), a lime and coconut gose. The brew made with local wheat has got French grey sea salt, lime peel, lactose and vanilla bean, along with coconut flesh and toasted coconut. “We lagered this Kottbusser, and added over 20 pounds of local honey and molasses with fresh orange zest for a clean, aromatic and unusually drinkable beer,” Double Shift head brewer Bryan Stewart wrote in an email. Cinder Block Brewery (110 E. 18th Ave., North Kansas City, Missouri) will host a pop-up from 5 to 8 p.m. with Outlaw Cigars, which will be at the taproom to chat about cigars and sell them. 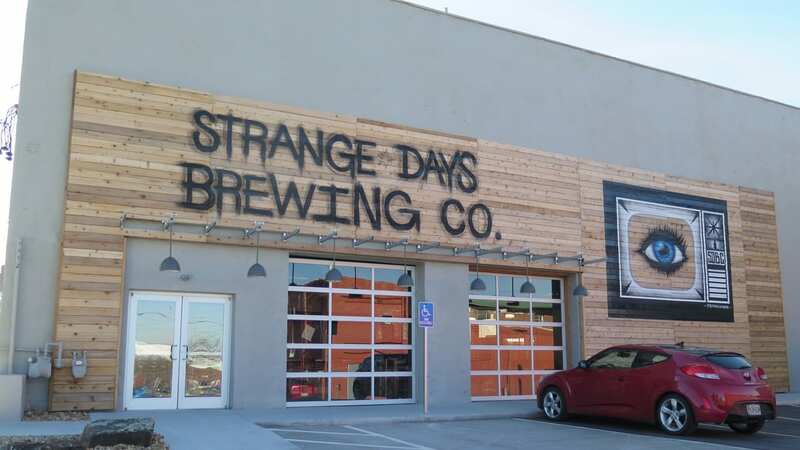 Strange Days Brewing Co. (316 Oak St.) is hosting a benefit to help raise funds for the Buck O’Neil Research & Education Center from noon to 6 p.m. They’ll donate $1 from every beer and will hold a silent auction with beer and sports prizes. Martin City Brewing Company celebrates the end of summer with a BBQ + Beer Release Party from 5 to 9 p.m. at The Martin Event Space (13440 Holmes Road). It’s all you can eat barbecue and sides (baked beans, potato salad), and beer releases (wild IPA, port barrel-aged Poitier Tripel) alongside wine and cocktails. Tickets are $25 in advance ($30 at the door) and include a pint glass and drink ticket. The Boulevard Brewing Company’s Love Child No. 9 drops today. It will be available on draft and in 750-milliliter bottles. This post has been updated to reflect the cancellation of the HopCat beer dinner.